A lot of me ranting in this post. Plus Mo Sheng gets married, but not to Yi Chen. While doing dishes, Mo Sheng suddenly hears a sharp scream and dashes to Juan Jie’s residence next door. She finds Tom on the ground bleeding and Juan Jie holding the weapon. Some time later Mo Sheng visits Juan Jie in jail and we learn that Juan Jie has been sentenced to three years in prison. Being locked up is the least of her concern though as Juan Jie worries over her son, Xiao Jia, afraid that her husband Cruise will abuse the boy. Hold on a hot second here, I’m pretty sure she said her husband is Tom, and now it’s Cruise (I googled 克鲁斯, and this is the direct translation)? What is this man’s name for crying out loud! And… Tom Cruise? Are they implying something? take care of my son! Anyway, Tom or Cruise or whatever his name is comes a-knocking and tries to take Xiao Jia away. Mo Sheng claims that the father never feeds Xiao Jia or let’s him go to school or anything, so she doesn’t want the boy to go with him. In a random moment Tom/Cruise demands ten bucks a day if Mo Sheng insists on raising Xiao Jia. What the heck on so many levels! First, ten bucks? Seriously, sounds like a pretty weak threat especially since ten dollars can’t buy much now days anyway, but maybe they wanted to capture how pathetic this man is? Second, why is nobody reporting him? Juan Jie already got sentenced to jail, did they NOT think of bringing up the abuse situation? What is he still doing roaming the streets causing more trouble? And is Mo Sheng going to continue to live next door to an abuser? I know apartments may be hard to find, but I would run away as fast as my legs can carry, and bring Xiao Jia with me! Mo Sheng wants to get Xiao Jia’s guardian rights, but because she is not related to him, it’s really hard for her to fight for it, especially since she has no money to pay for legal fees either. Okay, lemme tell you Mo Sheng, there are social service agencies that offer free legal help and you can certainly apply for financial support for things like this. Why don’t you know me? I would totally help you! (Sorry for the rant, I work with immigrants in a social service agency). 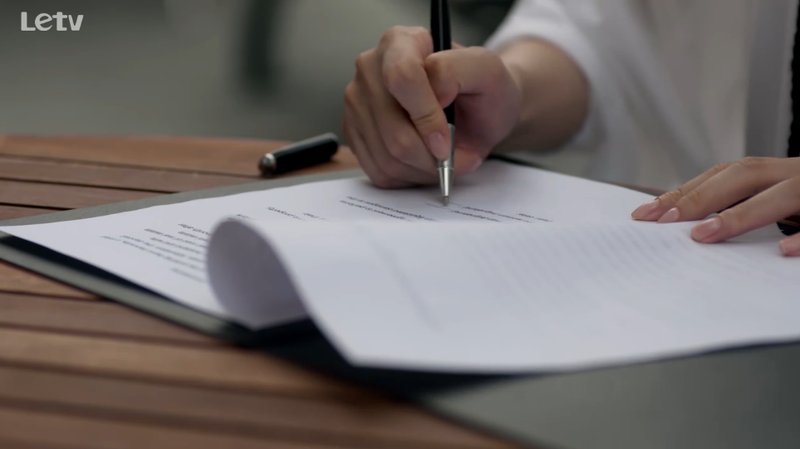 Of course, one of the reasons why they make her so helpless is so she can write a letter to Ying Hui asking for the five hundred dollar donation she gave back. who stacks up books like that so neatly on their dining table? 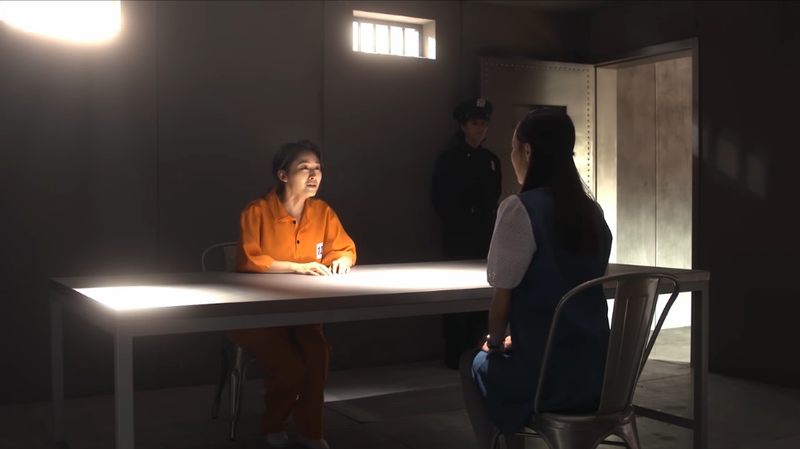 After receiving the letter, Mo Sheng meets up with Ying Hui nearby a telephone booth. (Psst, there are no telephone booths in the States, at least none that looks like that!) Ying Hui suggests that they go somewhere to have a nice chat. look at that telephone booth! Once settled, Ying Hui asks why she sent him the five hundred dollars before, wasn’t she afraid it is a scam or something? She replies that she had the money at the time and she happened to see his request on the newspaper. He starts to introduce himself again, starting with his name (yes, we know your name) all the way to mentioning how he owns INSO, some fancy shmancy software. Ying Hui thanks Mo Sheng for the five hundred dollars she sent back in the days, because if it wasn’t for that money he would have sold his software. So he says, instead of just asking for the money back, maybe he can be of more help if she gives him some details. 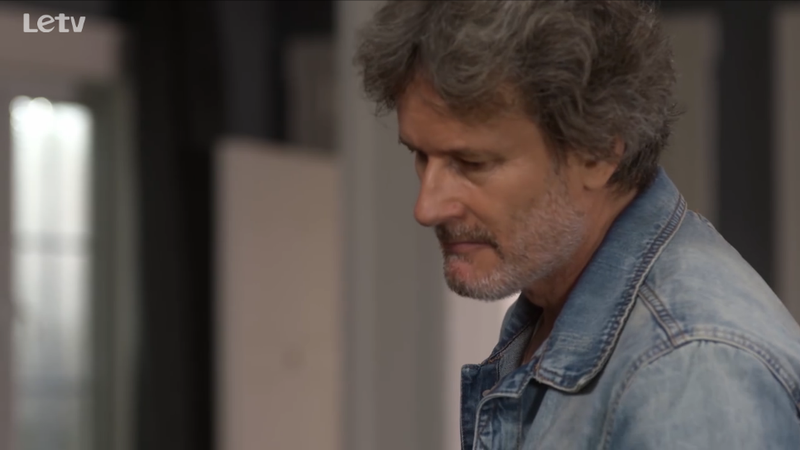 She tells him about the situation and he wonders if she’s always helping others like this. Mo Sheng recounts how Juan Jie cared for her when she was so sick that she fainted and nearly died, so she is indebted to Juan Jie. Ying Hui agrees to assist. 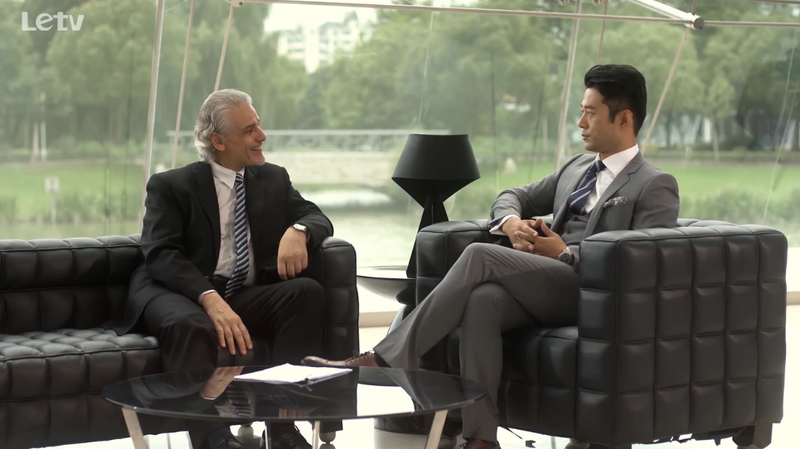 Back at his office, Ying Hui uses his really crappy English to talk to his lawyer, Smith, about Mo Sheng’s case. Smith advises Ying Hui to throw money at the problem and reach a private settlement instead of going full on with a lawsuit because the case is weak as they lack evidence of abuse and Mo Sheng is not legally qualified to raise Xiao Jia anyway. Ying Hui refuses that option because “it’s not his style.” Smith jokes that if Mo Sheng marries someone who is legally qualified then this situation would be much easier, pointing out that oh btw, Ying Hui is such a man. 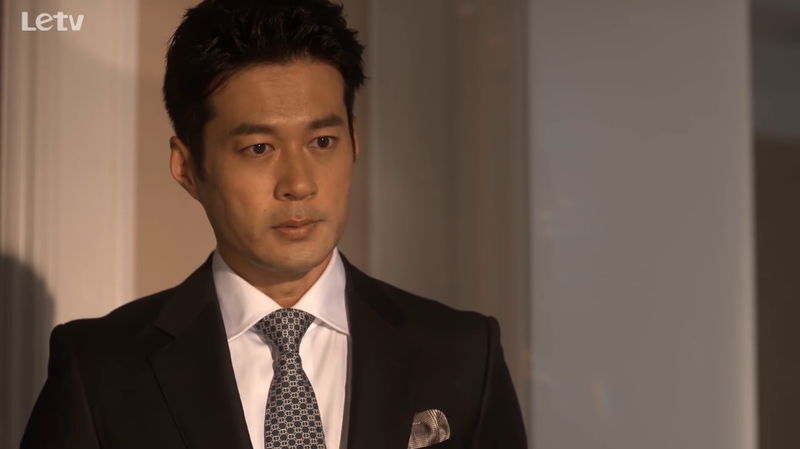 Ying Hui entertains the idea and mentions that he should have a wife by now anyway. Oh dear, this is all too obvious. Mo Sheng is perplexed and doesn’t know what to do next so Ying Hui tosses out the idea of pretend marrying in order to adopt Xiao Jia and recommends himself as a suitable candidate. Yes, pretend marry and then get a divorce so poor Xiao Jia will be in a broken family again, right, totally a great idea. Soon after, Mo Sheng’s landlord catches a scar on Xiao Jia’s arm and they report the abuse to the police. Xiao Jia’s father is removed as a legal guardian but the boy is sent to the orphanage. Meanwhile, Mo Sheng is busy with school work and now her English is good enough she is back at the front of the restaurant as a waitress. She also visits Xiao Jia every two days or so to bring him snacks and to keep him company. She firmly believes that life will get better with time. But does life get better with time? One day, Mo Sheng learns that Xiao Jia has been pushed into the toilet by the other kids who apparently like to pick on biracial children. The doctor tells her that there was a biracial girl last year who got pushed down the staircase and never woke up again. Mo Sheng asks if anyone called the police and the doctor replies that many of these orphans come from a juvenile detention center so they are tough and the best case for Xiao Jia is to be adopted. What a horrible orphanage to have children just DIE from bullying. Don’t blame the juvie, where is the staff in all this? I’m sure bullying happens, but what the heck, don’t act like there’s nothing you can do! 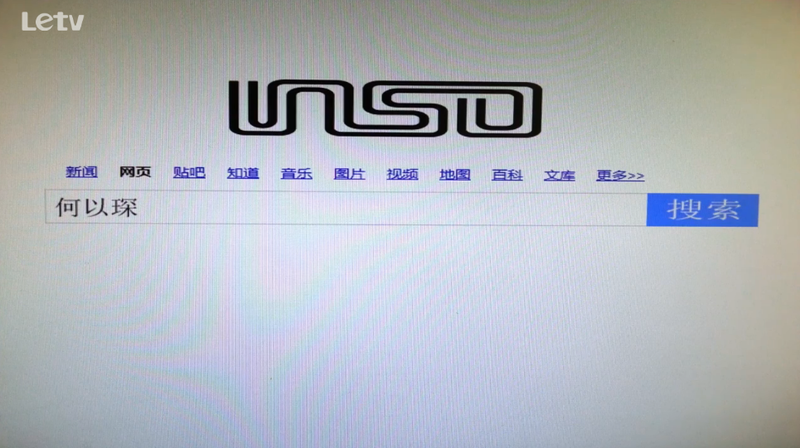 Meanwhile at INSO, Ying Hui is all upset at his staff because they proposed to charge users of the software a fee. He’s all like “are you blinded by our success?” while his staff stares at him with blank faces. Just then, he gets a call from Mo Sheng asking to adopt Xiao Jia. He immediately agrees and dismisses his team, but asks Smith to remain behind. Why is Smith involved in a business proposal meeting to begin with is beyond me. Anyway, Ying Hui asks Smith to draw up a pre-nup and gives him some material that basically entails that she will get nothing from this marriage, including intimacy. Smith questions the attractiveness of this marriage, but Ying Hui is confident Mo Sheng will accept it. And of course, she does! He even explains that INSO is about to become a public/listed company, so he could benefit from the positive image of being a married man. Riiiiight. Now that they are legally married, the next thing on the agenda is to adopt Xiao Jia. During their visit, the social worker inquires as to why they live in two separate states. Ying Hui explains that he works in California, but he flies back to New York every month. He says that once Mo Sheng finishes up her studies, they will move to California together with Xiao Jia. The social worker seems to buy it and they successfully adopt Xiao Jia! Yay! But seriously, who discusses adoption matters with the child in question playing nearby? Seems awkward and unprofessional. About three years or so later, Juan Jie is released from the jail and Xiao Jia returns to her side. Juan Jie has decided to return to China, but before she leaves she reminds Mo Sheng to value those around her. Ahem, Ying Hui. finally a new xiao jia actor! Mo Sheng officially moves to California to be with Ying Hui after he requests that she stay there until his parents leave. Apparently someone leaked out the news that he got married and his parents are really upset. He promises that his folks won’t be around for too long, and so she agrees. Uh, didn’t he say his married image will prove to be good for the company? Doesn’t that mean EVERYONE knows he got married? So there’s no “leaking” to speak of, right? come to cali with me? Ying Hui returns home one day to witness Mo Sheng eating ramen by herself. He tries to have a bite from her bowl but she shies away immediately. Can you spell REJECTED? He then asks her about her interviews and she replies they have not been successful. 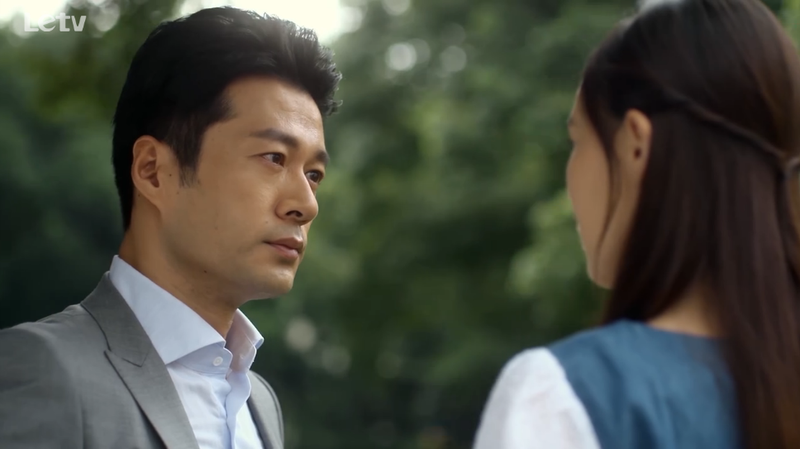 Ying Hui offers his help which she rejects, saying she can’t rely on him forever. This causes him to snap into this momentary daze during which he recalls another woman leaving him for someone else (though she still loves him) because the other person can fulfill her pride and make her look good in front of others. Ying Hui spies Mo Sheng INSO-ing Yi Chen’s name and they talk about their exes. He says his ex-girlfriend in college was really pretty and smart, and she replies that her ex-boyfriend was also really awesome. Ying Hui thinks in his mind that after all her ex is history and he is the one with her now. Uh-oh. Cue montage of Mo Sheng missing Yi Chen! 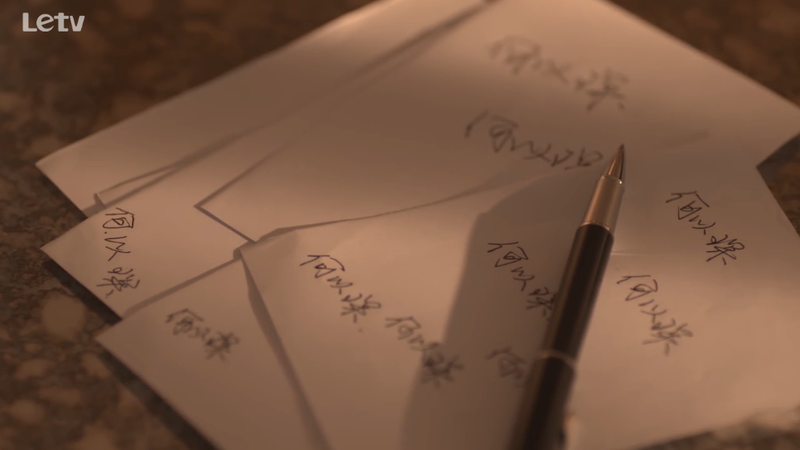 She writes Yi Chen’s name on the window, on scrap paper etc. And of course, with some images of Ying Hui playing second fiddle, witnessing her sadness and all that. No Yi Chen in sight and too much of Ying Hui is rocking my ship real hard. Ying Hui gets super drunk one night after attending some important event and tries to take advantage of Mo Sheng. Luckily nothing happens but this forces them to reevaluate their relationship. Mo Sheng is determined to move out and Ying Hui tells her to go back to China instead of acting like an ostrich, burying her head in the sand. 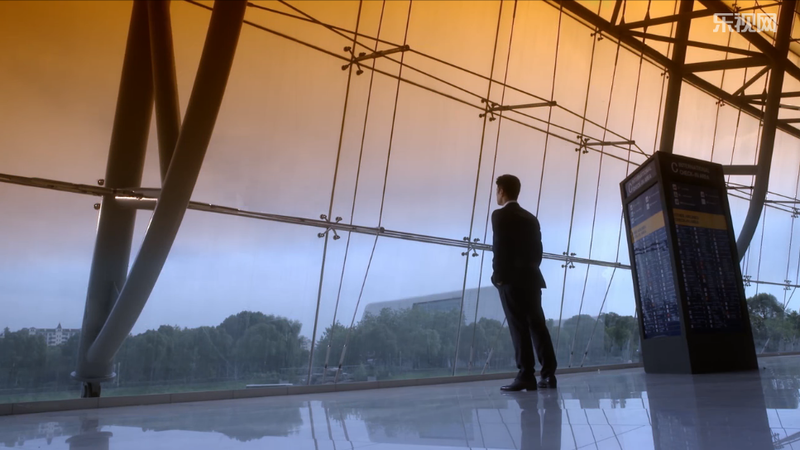 And so we return to the first scene in the first episode with Mo Sheng saying goodbye to mystery man at the airport. She exchanges farewells with Ying Hui and leaves on her journey back to China and to Yi Chen! Ying Hui has other thoughts though – he is hoping Mo Sheng will forget Yi Chen during the journey because he doesn’t believe someone is willing to wait for seven years. But oh man, is he in for a bit of surprise! are you sure no one will wait for seven years? Back to present day, Ying Hui sees photos of Mo Sheng and Yi Chen together and becomes concerned that maybe she won’t return. He calls up his assistant and books a flight to China. Love triangle here we come! Juan Jie refers to Mo Sheng as “jie jie” or older sister, and Ying Hui as “shu shu” or uncle, to Xiao Jia. Uh, weird much? When Ying Hui first asks Mo Sheng if she wants to return to China she says no because it’s normal to be alone on foreign soil, but it’s depressing to be alone in her motherland. have to admit, not my favorite episode. there was no wallace. LOL. Hahaha! I actually didn’t notice that wallace wasn’t in this ep, but the whole storyline was just such bs. anyway, glad that’s over! OMG I’m so glad someone finally called on the BS in this episode, I mean much of the scene where surreal and those places that where supposed to be NYC where so not NYC.